CSRA (NYSE: CSRA) is open to acquisitions and has allocated a portion of its cash deployment strategy for potential deals, the company’s chief executive told investors Wednesday. “They have to give us a technology edge as we think about cloud-enabled digitization of the marketplace. We always look for customer intimacy and competitive advantage, ” Larry Prior said to analysts. Falls Church, Virginia-based and GovCon Index-listed CSRA expects free cash flow for its 2017 fiscal year started April 2 of $300 million-$350 million and could use up to 10 percent of its capital deployment strategy for acquisitions with 50 percent for debt paydown and the other 40 percent for shareholder returns, Chief Financial Officer David Keffer said in the company’s first quarter earnings call. “We are open to M&A in places where it can be strategically valuable to us and help spur further organic growth, ” Keffer added. 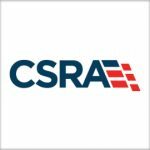 Debt reduction from the government technology services contractor’s initial $3 billion level upon its launch and share repurchases under its current $400 million authorization are CSRA’s top two capital deployment priorities, Keffer said. Government technology services contractor CSRA reported $133 million in cash and cash equivalents as of July 1, the end of CSRA’s fiscal year 2017 first quarter. The company made $98 million in debt repayments for the first fiscal quarter ended July 1, while long-term debt as of that date was $2.62 billion with earnings before interest, tax, debt and amortization at $218 million for the three-month period at an adjusted EBITDA margin of 17.4 percent. CSRA formed in November 2015 out of the merger of the former Computer Sciences Corp. (NYSE: CSC) U.S. public sector services business with SRA International. CSRA reported results for its FY 2017 first quarter ended July 1 on an adjusted pro forma basis to show financial figures as if the company’s was created in the same period in the prior fiscal year. Earnings came in at 51 cents per share to beat analyst forecasts of 4 cents with pro forma net income up 1.5 percent year-over-year to $68 million. Revenue fell 5.3 percent from the prior year period to $1.25 billion versus Wall Street’s expectation of $1.27 billion. The company held to its guidance of $1.91-$2.04 earnings per share, revenue at $5 billion-$5.2 billion and adjusted EBITDA in the $870 million-$905 million range. As of Wednesday’s close, shares in CSRA are down 12.4 percent from the start of the year while the GovCon Index has added 8.66 percent and the S&P 500 6.44 percent since Dec. 31, 2015.